Standard Uniform Belt, Deluxe Belt, Mil-Spec Rigger's Belt, Pro-Tactical Belt, and the Gun & Gear Belt. After being placed in 20 Navy Exchange retail stores and 64 Army & Air Force (AAFES) clothing sales stores, we shipped 100 belt center display fixtures to 110 additional military bases around the world. All belts are manufactured at our Buena Vista, Virginia manufacturing facility and fabricated with raw goods all MADE IN THE USA! 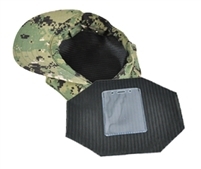 In addition to the 110 display fixtures already shipped, we have been given retail space in over 200 military clothing sales stores and hope to be added to the Army & Air Force (AAFES) main Exchange retail stores in May. 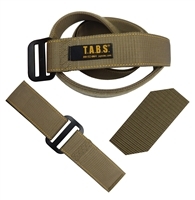 Check out our new Tactical Belt line that is hitting the market! Sayre is proud to offer many quality products Made In America. For Custom Fit, Cut and Heat Fuse to Desired Length. Or, keep uncut for use as 61" strap.